At the Law Offices of Leonard Komen, P.C., clients receive individual counsel regarding estates, trusts, and asset protection. When you need advice and representation regarding matters of private finance, schedule your free consultation with our firm. Our law office in Chesterfield, MO, provides guidance in a range of areas, from succession planning to judgement collection. While estate planning and related concerns can be complicated and time-consuming, our lawyer draws from decades of experience to steer clients in the right direction. Whatever the details of your case, you can count on our firm to look out for your best interests and give you the counsel you need to make informed decisions. One of our major areas of practice is to carry out clients’ wishes according to their will. Whether a client has put their assets in a trust or the assets need to be distributed through the process of probate, our firm ensures that the distribution of your estate is handled responsibly and correctly. With our services, you can rest assured that your final wishes will be honored when the time comes. 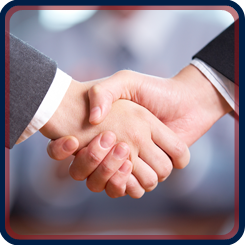 For more than 45 years, I have managed my clients’ legal issues in a cost-effective and diligent manner. I focus on probate administration, bankruptcy estate administration, probate disputes, the creation of new entities, creditor and debtor remedies, estate planning, trusts, wills, medical powers of attorney, and related documents. These are highly personal matters, and I am sure to give each client my complete attention when we decide how their personal affairs are to be handled. I avoid personal injury cases, domestic relations, workers compensation claims, and criminal law, so that I can focus on these other areas of legal services. I practice law according to the principle that the object is to stay out of the courtroom, not rush into it. 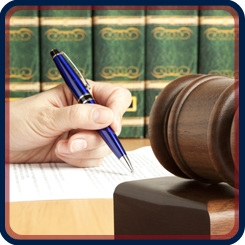 To discuss your estate, will, power of attorney, or other matter, please call my office to schedule a consultation. I look forward to reviewing your case and advising you of your options on how to proceed. Contact the Law Offices of Leonard Komen, P.C. for your free initial consultation. We represent clients throughout the St. Louis, Missouri, metropolitan area. Learn More About Law Offices of Leonard Komen, P.C.